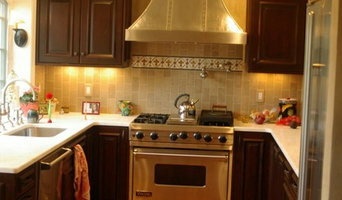 Family-owned kitchen and bath remodeling company. 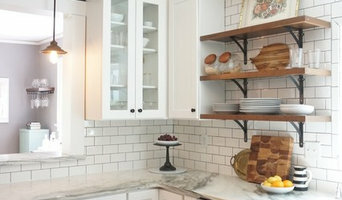 Cabinetry, countertops, bathroom vanities & more for homeowners and contractors. 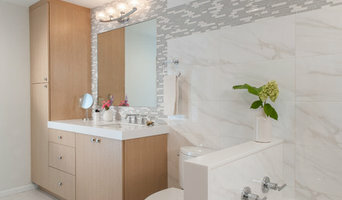 Our Kitchen & Bath Designers provide free design & estimates for any project or budget. Open M-F, 9am-5pm and Sat. 9am-4pm. With a well established reputation for fine home remodeling in St. Louis, MO, Hamtil Construction delivers an outstanding remodeling experience to the homeowners we serve. Our clients value our expertise, professionalism, and that we strive to make the home remodeling process as seamless as possible. We take pride in building relationships with our clients and trade partners so we may collaborate effectively for the success of a project. When you choose us as a remodeler, have confidence that your home is in good hands. 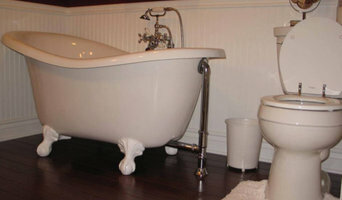 Our company specializes in kitchens, baths, additions, basement finishing, and whole house renovation. Whether a small bath remodel or a historic rehab, we can deliver the results you dream of, and exceed your expectations along the way. Here at Finley Custom Construction & Design, we take great pride in creating the most comfortable and usable space to fit our clients' needs and budget. We specialize in the custom design and building of your dream kitchen or bath, and can add a unique touch to your home with custom cabinet build-outs and interior trim. As well as room additions, our skilled craftsmen can extend your living space with a beautiful deck for outdoor entertainment, or a personalized finished basement to meet your family's needs. Anything you can dream up, we can build for you with precision and pride. Sean Finley, Owner of Finley Custom Construction & Design, grew up in Kirkwood, Missouri, before moving to Durango, Colorado to further his education and career. After attending Fort Lewis College, Sean started a business building custom homes in the mountains of southwest Colorado. After spending the last 14 years out west, Sean decided to bring his family and this unique and tasteful style of building back to the greater St. Louis area. Our design concept is affordable luxury. From concept to completion, this process is about you & we understand you lead a busy life and desire concierge styled service, so we created our business to work in this way. Step #1: Sage Kitchens & Baths meets with you in your home. Seasoned designer Cathy Tate Sage will learn about the scope of the project you are planning, ask detailed questions about how you live, such as “is the main cook left or right handed?” We will ask preliminary questions about the style you’d like to have in your new space and discuss the budget range and time frame you have in mind. Step #2: From our first meeting, we draw up initial plans. When you decide to move forward with Sage Kitchens & Baths, a design retainer is secured and the contract is signed. We take your feedback on the initial plans and head back to the drawing board to include any revisions you may have. Step #3: We meet again to discuss the design changes we instituted and once those are confirmed we move onto choosing the finishes and auxiliary items such as sinks, faucets, countertops and hardware. Upon receiving payment, we also custom order your cabinetry! Step #4: If necessary, demo begins of your kitchen or bathroom and your space and home are readied for the new products in your remodel! When ready, delivery of your cabinetry. Step #5: Installation begins and the beautiful new kitchen (or bathroom – or beyond!) you’ve been dreaming of begins to take shape right in your home! Step #6: Upon completion, a punch list is made if necessary and once completed, you begin to think about which room you will remodel next with Sage Kitchens & Baths! St. Louis Kitchen & Bath 42+ Years Experience & Best of Houzz! STL Design and Build (STLD&B) is locally owned. We bring passion to every project we are entrusted to build for you. Our core leadership has a vast knowledge and expertise, bringing more than 55 years of combined experience to your project. Building and design runs through our veins! Our senior leadership grew up in residential custom home building and remodeling backgrounds spanning generations – We are award winning for our high quality and standards in innovative home designs and projects. We adhere to all building codes as well as aiming to exceed industry standards and guidelines. We will never cut any corners. We devote ourselves to building our customers beautiful and functional projects. We are constantly reinventing ourselves to keep current with the newest technologies in our industry and partner with local businesses whenever possible. We strive to be your remodeler for life! STLD&B’s leaders have co-hosted segments on network TV (syndicated in numerous markets) and have been listened to on radio. Their expertise is consulted upon frequently. Our leaderships past involvement have included “The St. Louis Home Builders Association”, serving on legislative and judicial committees, as well as the coveted Homer Award Committee. Our production team’s leader began as a carpenter and earned the title of Journeyman through sweat equity and honing his skills. STLD&B offers full manufacturers warranties as well as OUR unprecedented service guarantee. With us, The Sky’s The Limit! The Thompson Price Kitchen, Bath & Home showroom in Des Peres, MO, provides you a complete selection of everything you may need for your design and construction project--including the latest products from a wide range of local and international vendors, Our proven design process is a collaborative partnership--we listen, then offer a number of solutions to fit the way you live. Thompson Price will help you understand what is an actual "quality" difference in materials or construction, and relate those differences to your budget and lifestyle. Our design team doesn't work on commission and our experienced installation group will treat your home like their own. 60-70% of our projects each year are referrals from satisfied customers--we've been in the community for over 35 years. Interior home remodeling and maintenance. Complete kitchen, bathroom, and basement renovations. Home repair and interior remodelers. What does a Rock Hill kitchen and bath remodeling expert do? Licensed Missouri kitchen and bath remodelers are contractors who specialize in altering the structure of an existing space, rather than building one from the ground up. Because he or she must deal with a previous builder’s work, the job can get more complicated than new construction. You might wonder why they often specialize in both kitchens and bathrooms, but if you think about those two spaces, they actually have a lot in common. Kitchens and bathrooms include an abundance of fixtures that require careful planning and installation, including sinks, faucets, tubs and toilets that all need water hookups and drainage. They also use similar materials, such as tile and stone for countertops and flooring, due to the nature of their use. So it makes sense that Rock Hill kitchen remodelers and bathroom remodelers be one in the same. A bathroom or kitchen remodeler translates architectural plans from page to reality; some are also trained to provide design services so that you don’t have to hire a separate pro. Like a general contractor, a kitchen and bathroom remodeler in Rock Hill, MO is responsible for hiring and supervising subcontractors and providing materials when necessary. They also should have a thorough knowledge of Missouri building codes and construction-related legal issues, as well as current design and product trends. Here are some related professionals and vendors to complement the work of kitchen & bath remodelers: Woodworkers & Carpenters, Kitchen & Bath Designers, Interior Designers & Decorators, Architects & Building Designers, General Contractors. Find a Rock Hill kitchen and bathroom renovator on Houzz. Narrow your search in the Professionals section of the website to kitchen and bathroom remodelers in Rock Hill, MO. You may also look through photos of Rock Hill, MO spaces to find kitchens or bathrooms you like, then contact the bathroom or kitchen remodeler who worked on it.